New Limited Production! 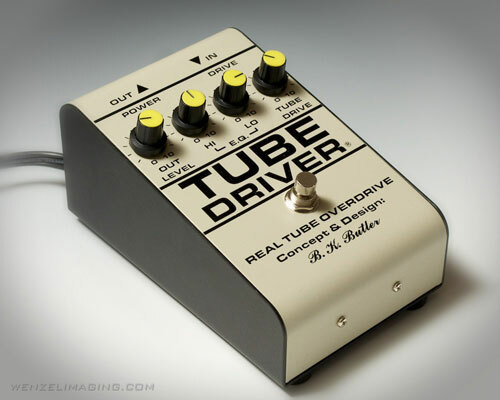 The 'Real Deal' Tube Driver from the Original Designer! I'm hand building only limited production numbers every week. I personally autograph each Tube Driver on the bottoms side. Expect the normal build time to be about 4 - 7 days, but I can give you an estimated shipping time when you place your order. Each unit is hand built to my specs and I personally check out each Tube Driver to perfection. 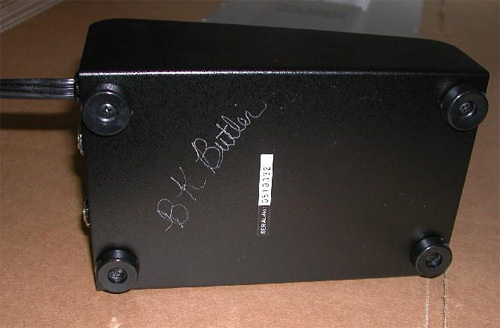 Then I engrave my signature on the bottom of the case. This insures authenticity now and in the future! The cost is $299 each, no quantity discount. Please either pay in full in advance or 50% up front and the balance before shipping. I prefer PayPal payment: [email protected] or you can call in your credit card order to: 303-766-4504. Shipping is $12 within the 48 states via USPS Priority Mail. International orders are welcome. Just tell me the voltage in your country. The USPS Global Express mailing cost is $47. This is the fastest, most economical and safe method. The custom variable "Bias" mod version is available with an additional custom 5th control (I’ve made several of these for Eric Johnson, David Gilmour, Billy Gibbons and Joe Satriani) is available for $125 extra as it takes more time for me to build. The Bias control allows you to adjust the tube characteristics over a wide range. It's like changing the types of tubes anywhere from a weak 12AU7 to a blistering 12AT7. 220-240V, 50-60Hz is available at no extra charge, but I supply only with the USA style plug. (You will need to get either a simple plug adaptor or re-install the correct type of plug on the power cord for AC mains in your country). Here's how they look: ENJOY! Due to the fact that my Tube Drivers are one-off Limited Production items, I do not offer a return policy. Each pedal takes me several hours of my personal time. You will get exactly what is described herein: the REAL thing from the ORIGINAL designer with a solid 3 Year warranty. If anything goes wrong during that period, just send it to me and I'll fix it! 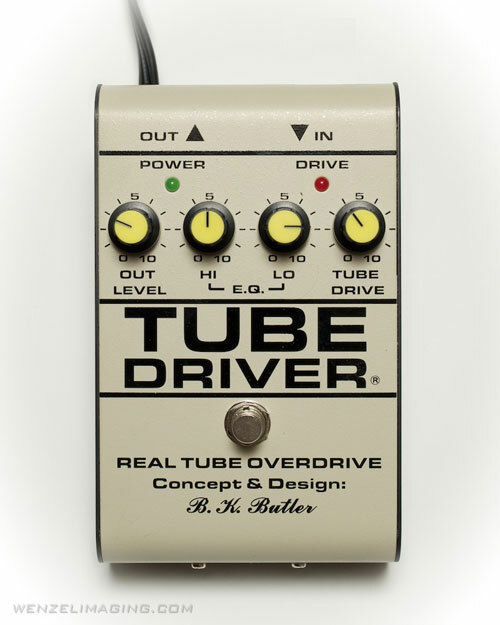 Here's your limited chance to get an Original Tube Driver. NOTE: I cannot guarantee I'll continue production for any amount of time. When this Limited production run ends, it's over!